Awe differs from straight up emotions in that it can be triggered by any of a wide range of experiences; unexpected encounters with nature are especially powerful, but art, music, literature, unique people, basically anything that generates a sense of wonder will do, even scary things. I liken being awestruck to being in the ‘zone’, a condition marked by a heightened sense of awareness and focus, a heightened connection to the body, and a sense of deep emotion. Awe inspiring experiences have the power to change our lives. John Muir was changed forever when he encountered the giant Sequoia and towering rock formations of Yosemite. The sublime Jane Goodall said this, “Lost in awe at the beauty around me, I must have slipped into a state of heightened awareness…It seemed to me, as I struggled afterward to recall the experience, that self was utterly absent: I and the chimpanzees, the earth and trees and air, seemed to merge, to become one with the spirit power of life itself…Never had I been so intensely aware of the shape, the color of the individual leaves, the varied patterns of the veins that made each one unique. It was almost overpowering. —Jane Goodall, Reason for Hope. Being awestruck is self-transcendent, our attention shifts away from ourselves, making us feel like we are part of something larger, changing our perception of time, and even making us more generous toward others. There is such a strong emotional component that we feel a need to share the experience. Constance Grady asked this question, “Have you ever started crying at a live show? Not because it’s sad or even all that emotional, but because the spectacle is so overwhelming that it feels like all your synapses are firing at full capacity and the feeling has to leak out of your body as tears, or yelling, or dancing?” You know the feeling. Here are two pieces of performance art created expressly to elicit awe. Lady Gaga performing Enigma in Las Vegas. Two videos; 1, 2. 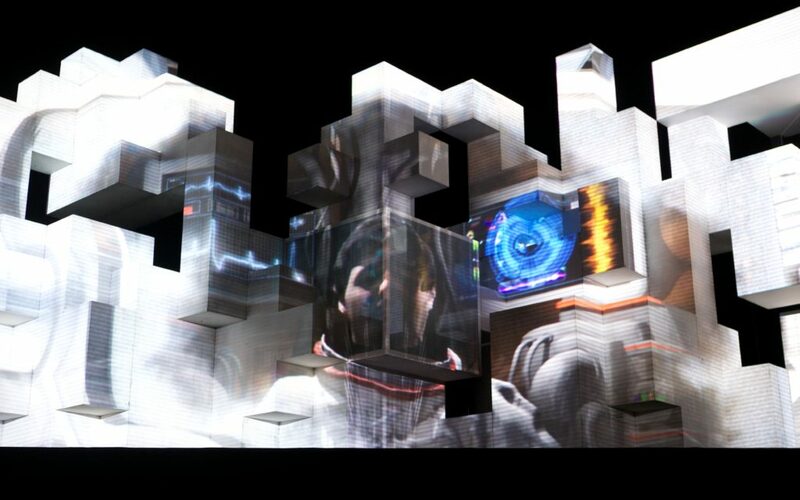 Amon Tobin performing ISAM 2.0 live at Outside Lands. See how the art was created here. Awe has physiological, psychological, and social corollaries. There are characteristic facial expressions and hand gestures. People report time expansion. It’s fascinating to me that being awestruck makes us humbler, kinder, and more altruistic. If that interests you, too, follow the thread here and here. There are changes in heart rate, blood pressure, vagal tone, and immune system function. For example, awe is associated with lowered levels of IL-6, a cytokine implicated in diabetes, heart disease, and depression. Decreases in proinflammatory cytokines generally accompany positive emotions like joy, pride, and contentment, but the state of awe has the greatest effect of all. Awe benefits your whole being. This fascinating story of art and science came to my attention through articles by Constance Grady in Vox, and Daniel Terdiman writing for Fastcompany. I’m drawing liberally from their reporting. Cirque du Soleil has long believed that the spectacle of their productions creates awe. This story illustrates the point: Itsuko Noto lives in Japan. 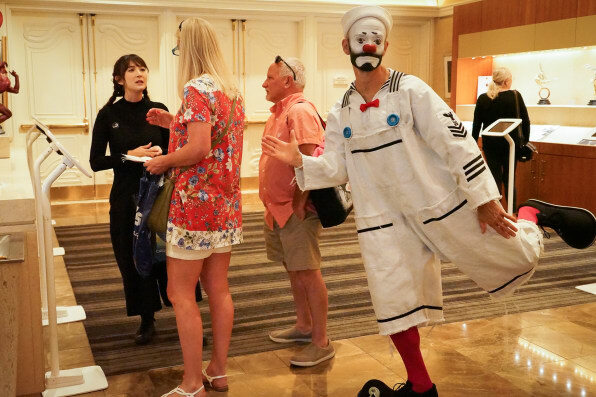 Twice a year she flies to Las Vegas for a Cirque du Soleil immersion–two shows a night, 14 per week; she is a super Cirque fan. Itsuko always attends the same show, the water-themed “O”. Daniel Terdiman quotes Marie-Hélène Lagacé, Cirque’s head of public relations, who wondered, “What is it that you feel when you come see the show that makes you want to feel it again and again and again and again?” There are deep lessons to be learned about human nature if we can answer that question. Cirque du Soleil provided the perfect platform for an experiment and they made a bold move. 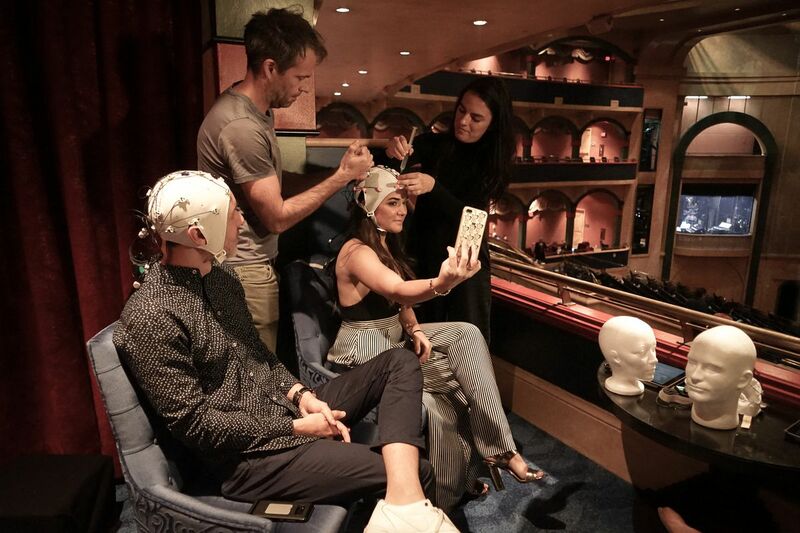 They teamed up with an eclectic group of researchers that includes neuroscientists, artists and technologists to probe the emotions that Cirque performances elicit. Together they set out to study our sense of awe using Cirque du Soleil’s performance of “O”. The researchers call themselves Lab of Misfits and they call their methods Experiential Experiments. Neuroscientist Beau Lotto (University of London) is the front man. He is well known for his studies of human perception and I recommend his TED talk on optical illusions. To explore what happens in people’s brains The Lab of Misfits fitted sixty ticket holders with EEG caps in order to measure neurological responses during the show. Terdiman writes about his experience wearing EEG headgear in his article. They found that at the moment people reported experiencing awe there was a marked shift in brain wave patterns. The level of activity in the prefrontal cortex declined. At the same time, activity in the default mode network increased. The switch happened remarkably quickly, within a second. Taken together, these changes point to a major shift in attention and suggest a nascent theory about the state of awe. At its core, awe seems to involve multiple brain systems related to attention, conscious self-regulation, memory, cognitive control and social emotion. Main regions of the default mode network (yellow) and connections between regions color-coded by structural traversing direction (xyz -> rgb). 3D reconstruction from fMRI images seen from the top, front of the brain is to the left. The data collected in Las Vegas are open to interpretation. Our understanding of both the prefrontal cortex and the default mode network is still evolving. But the study is very innovative and creative. It shows the potential of the lab’s Experiential Experiments approach and calls for more work at higher resolution. What we know about the DMN comes mostly from brain imaging; positron emission tomography (PET) and functional magnetic resonance imaging (fMRI). Things you can’t do at a concert. Changes in EEG signals recorded from the scalp, while very provocative, are not precise enough to test specific hypotheses about what’s going on in the observer’s head. A deeper look at the default mode network might help sort out the meaning of their results. This video provides a good introduction. The DMN is a large, interconnected network of cortical brain regions. It’s distinguishing feature is that activity in the network is low when we are engaged in an active task and paying attention to external events, but high when we are awake but not involved in any particular cognitive action. For this reason the DMN was once thought to represent the resting brain. That is incorrect. Measures of energy consumption show that a brain in default mode uses the same or more energy than a brain concentrating on a mental task. It is just the spatial and temporal pattern of energy usage that differs. It is likely that there is no such thing as a ‘resting brain’. The brain areas comprising the DMN are all associated with some aspect of internal reflection, memory, theory of mind, social emotion, and the mirror neuron system (thought to be central to empathy). In addition, it includes key regions of the pleasure system. In default mode we might be recalling memories, daydreaming, envisioning the future, monitoring the environment, thinking about the intentions of others, and so on–all things that we associate with just “thinking” without an explicit purpose in mind. It may be responsible in part for self awareness. It’s also possible that the DMN is composed of modules, each of which dominates under specific conditions and capable of rapidly switching. There is much to learn; for example, when people watch a movie or listen to a story together, activity in their DMNs are highly correlated. This implicates the DMN in social cognition and what’s more, it suggests that the whole audience at Cirque du Soleir may be in sync. You will find a lot more about the synchronization of neural activity when people interact in the work of Suzanne Dikker. Berkeley professor Dacher Keltner provided the perfect closer for this piece, a walking meditation in Muir Woods to talk about awe.